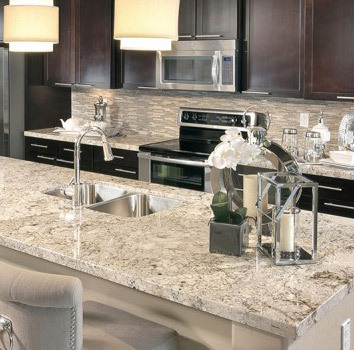 If you’re a natural stone lover, then granite is your choice for counter tops. Although it’s not the top selling product for counter top in today’s market, it still is the second best choice for your counter tops. The natural moment of the granite will help create a statement and a stunning look. This is a strong product for counter tops; however it is still natural stone and will require maintenance and a sealing schedule. Stop by our store in Oxnard, Ca. and talk to one of your experts to see what the best choice for your.